For this week's Diva's Challenge, guest host, Sharla Hicks, challenged us to create undulating S and C tangles. There are so many patterns that lend themselves to this, but the image that popped into my mind was what you see above. Nipa with Cruffles for circles. I like the dimentionality of Nipa as it reminds me of wavy sands and Cruffles are always fun! When I finished, I looked through my tangle patterns book and saw the pattern Twenty-one, another favorite! 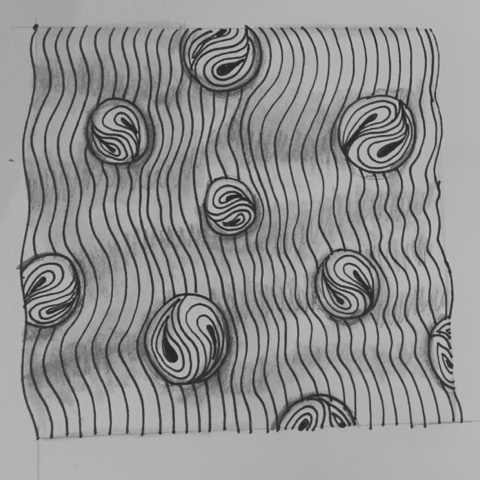 I think if you shade this, you get an undulating movement. 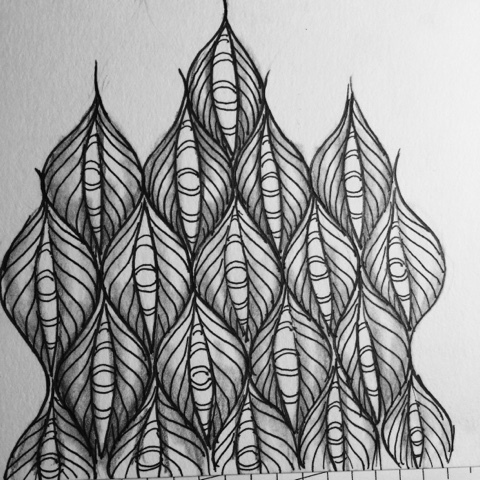 I think I may spend the day exploring more undulating patterns! Have a great day! Love your Nipa/Cruffles tile! Well found and done. Twenty-one looks nice too! Angelcake, you spend as much time exploring undulating patterns ( is that what it's called now?) as you like. I gave up trying to understand all of this. The terminology tickles me, though. Nipa with Cruffles the new ventriloquist act! I do like what you do with the patterns, Ms Kari. Thanks again for sharing. So different to the others, yet so spot on the challenge! Nipa and Cruffle are a great combination! I so enjoyed seeing your tile on Instagram. I just think you do a wonderful job of shading! Nipa and Cruffle are a beautiful combination!!! Twenty-one is completely new to me. I don't know how you achieved the undulations, but I can assure you they're there----so it's all good! Love Cruffle in Nipa! And Twenty-One is one of my Mac 'N Cheese tangles, so of course I'm thrilled to see it here, and so beautifully done! It's simple and I love. Both are very lovely! And I agree with the previous comments ... wonderful combination of Nipa and Cruffle! I like both of your tiles. So simply done, yet so well done. Nice work!